This past weekend we told you about two surprise sales that popped up on Amazon’s site. 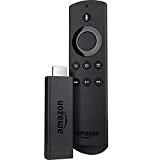 The first was on the Certified Refurbished Fire TV with 4K Ultra HD and Alexa Voice Remote, which typically sells for $60 but was slashed to $39.99, making it the same price as Amazon’s Fire TV Stick. Prime members have enjoyed an exclusive $39.99 sale on the 4K Fire TV for the past week, so this gave people without Prime subscriptions a similar sale to take advantage of. Then, on top of that, Amazon dropped the price of the Fire TV Stick with Alexa Voice Remote to $29.99, matching its lowest price since Prime Day. Well guess what: If you missed those sales, they’re all still going on right now! 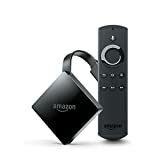 A Certified Refurbished Fire TV with with 4K Ultra HD and Alexa Voice Remote is refurbished, tested, and certified to look and work like new.